Grain dealer, MLA (1908-1910), MLA (1911-1914). Born at Ashton, Ontario on 11 February 1862, son of Robert Simpson and Frances Cathcart, brother of R. M. Simpson and J. C. Simpson, he was educated at Ashton and Carlton Place, Ontario. He came to Manitoba with his parents in the early 1880s. For a few years he was in the newspaper business then, in 1885, he moved to Virden where he resided for 40 years. There he engaged in the real estate and grain business and, for a number of years, was a member of the Winnipeg Grain Exchange. He was first elected to the Manitoba Legislature for Virden in a by-election held in January 1909, necessitated by the death of J. H. Agnew. 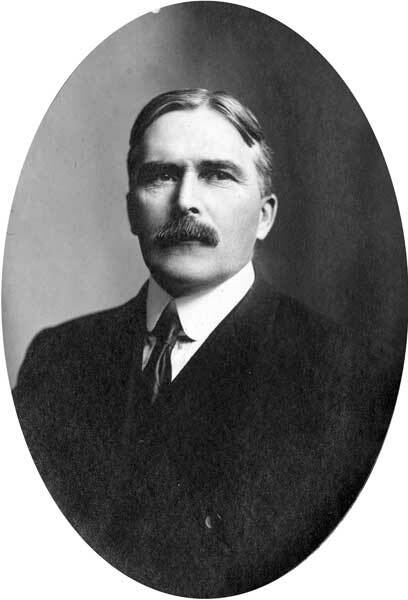 Simpson served two terms, being re-elected in 1910 but defeated in 1914. During the First World War, he served overseas as a Captain in the 184th Battalion. On 31 May 1892, he married Rhodella Armstrong Irwin. They had four children: Fred Irwin Simpson (1893-1917), Edith Francis Simpson (1895-? ), Olive Mary Simpson (1897-? ), and Harriet Mills Simpson (1902-?). He was president of the local St. Andrew’s Society for many years and a Mason. He died of heart disease at Vancouver, British Columbia on 29 January 1928. He was buried in Virden.